Holydays membership gives you the luxury and convenience of your private homestay in Vrindavan, and much more! It will completely transform your Vrindavan experience. If you and your family visit Vrindavan every year, be it on a weekend for Banke Bihari darshan or for Bhagwat Katha, Holydays membership is perfect for you. A home in the iconic Krishna Bhumi township: Krishna Bhumi has been conceived as a model village of Vrindavan, with all the modern amenities that you need for a comfortable stay and an extraordinary experience. A home close to the worldâ€™s tallest Krishna temple: Krishna Bhumi is taking shape adjacent to the upcoming Vrindavan Chandrodaya Mandir conceived by ISKCON Bangalore. A home in Vrindavan whenever you visit: You can come to Vrindavan and stay in your personal luxury apartment whenever you visit Vrindavan, even during the peak seasons when finding an accommodation is next to impossible. 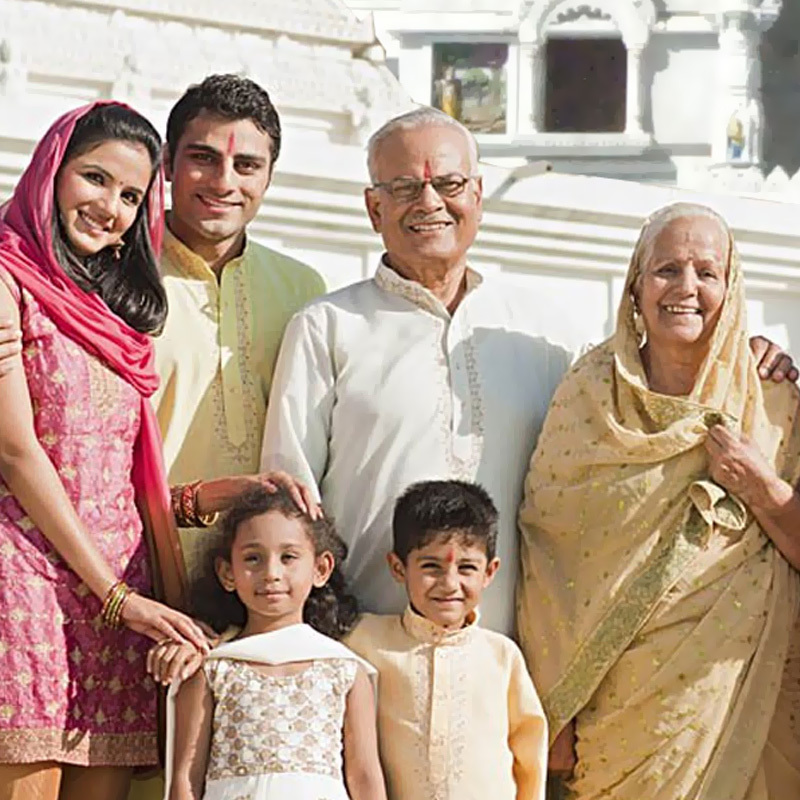 The perfect plan for everyone: Krishna Bhumi provides attractions for all your family members, young and old. This temple township will be close to the upcoming Krishna Leela theme park that will have laser shows, musical fountains, themed story telling areas, goshala, and more. A hassle-free Vrindavan experience: Right from organising the pujas and parikramas to arranging the darshans and special pujas, we look after every little detail so that every moment you spend in Vrindavan in simply blissful. A thoughtful gift: You can gift your Krishnabhumi Holydays membership to your near and dear one without paying anything extra. All you need to do is just obtain a Guest Certificate from us. The perfect wedding destination: What better place to get married than in the blessed land of Sri Krishna? A Holydays membership lets you avail all your rooms (for the entire membership tenure) on one single day to host your guests. To make your Krishnabhumi Holydays membership even more exciting, we are waiving the first Exchange Fee of every year, for the first five years. This means, when you decide to exchange your Vrindavan stay with another RCI-affiliated resort, you donâ€™t have to pay any Exchange Fee. This offer is valid only for the first exchange every year on short-haul trips within India and to the South East Asian countries (except Maldives). If you have ever felt that you should visit Vrindavan more often, Holydays will make that happen for you. Krishnabhumi Holydays is more than just a membership. It is a promise to yourself to take out 7 days from your schedule and spend it in Krishnaâ€™s holy land. Get an RCI Platinum Membership with your Krishnabhumi Holydays Membership. Enjoy the privilege of exchanging your Vrindavan stay with any of the 4,000+ world-wide RCI destinations across 100 countries. The way you experience Vrindavan is about to transform forever with a Krishnabhumi Holydays membership. Do you have more questions about Krishnabhumi Holydays? Fill up the enquiry form below and one of our representatives will get in touch with you soon.